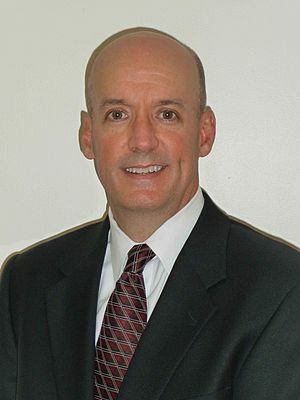 Todd Gilliam has been appointed US segment leader for ABB Food and Beverage operations. Cliff Cole, who had previously been in this position for three years, has taken on the role of leader of commercial and strategic integration. Gilliam joins ABB from Schneider Electric, where he was a food and beverage industry manager since September 2014. He has over 30 years of experience in manufacturing, having been a global account manager for brands such as Coca-Cola and Microsoft. Gilliam will now lead a team that represents all of ABB’s current business units. The team will take responsibility for educating and informing food manufacturers on the impact digitalization is having on the industry and what long-term solutions are available to improve efficiency and profitability. “Digitalization has been at the forefront of manufacturers’ minds for a number of years now, and many are interested not only in optimizing existing assets to keep up with their competitors, but also leveraging new technologies to gain a strategic advantage,” said Gilliam. “As an industry, food and beverage has traditionally been a slower adopter of new technologies when compared with sectors such as energy or processing. Rather than playing catch up, manufacturers are now looking at what the future holds and how they can make their own facilities smarter. “At ABB, our aim is to assist manufacturers in futureproofing their operations. For the vast majority, building a new facility isn’t an option. Industry 4.0 has led to the creation of a wealth of technologies that can enhance existing operations, improve efficiencies and minimize production downtime. Gilliam will be based at ABB’s Atlanta office in the United States. He holds a Bachelor’s Degree in electrical and computer engineering from the University of South Carolina. For more information about ABB’s products and services for the food and beverage sector, visit http://new.abb.com/food-beverage.